Thredbo ski resort is located in the mystical Kosciuszko National Park, parallel to the Great Dividing Range in New South Wales, Australia. Kosciuszko is the highest point in Australia, a visit to Thredbo offers a chance to everyone who wishes to ski their way to the summit by taking the Kosciuszko Express chairlift. Prime Location and Fine dining in the heart of Thredbo. Children friendly Hotel with breakfast and in close proximity to fine dining restaurants. Thredbo ski resort is ideal for skiers of all skill levels. Those who are new to the snow and skiing will definitely love learning to ski in the specially designated area. Thredbo has a fun-filled and happy environment, where skiers and snowboarders can enjoy the longest runs and diverse terrain in Australia. The terrain parks in Thredbo offers a wide range of skiing and snowboarding experience for all skill levels. The resort has terrain parks that offer different features, including jumps and rails for skiers and snowboarders. Thredbo Ski Resort has 14 lifts, including 4x4 high-speed quads, 2x2 Double Chairs, and 8xT-Bars that handle most of the weekend rush of skiers, the high-speed quads and T-bars are perfect to use on a windy day. 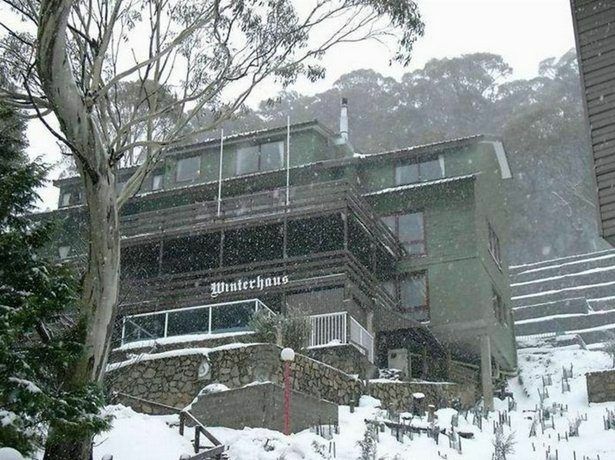 Thredbo is a ski resort offering an ideal location for couples, groups and families. The resort is one of the most diverse different ski resorts in Australia. Thredbo ski resort is home to the thigh burning vertical drop that is 672 meters. The vertical drop is very steep and longer than the Perisher vertical drop. It is home to the Crackenback Supertail that is 3.5 kilometres long. The Crackenback has plenty of swift turns that could make you go faster. One of the biggest disadvantages of Thredbo is that it has a very low quality and quantity of snow. The low quantity of snow could hinder the experience of enjoying one of the biggest vertical drops in Australia. However, the good news is that Thredbo has the most extensive and modern snowmaking machines that increase the quality and quantity of snow. The intensive snowmaking covers an impressive 15% of the entire terrain in Thredbo. The Thredbo ski resort offers a dedicated beginners’ zone for skiers who are just starting to learn the art of skiing. Beginners can take their wobbly first skiing steps on the Friday Flat. This is the best place where first timers get a chance to try learning uphill skiing on the gentle slopes of the Friday Flat. Beginners can practice their turns and stop when needed. Friday Flat is the ideal location for inexperienced first-time skiers, the slopes are gentle and simple to navigate, and lessons for beginners are available. They can learn different techniques from expert skiers. Thredbo is perfect for intermediate skiers, with over 67% of the area is marked blue with trails that will give intermediate skiers a chance to explore the trails for a long time. Most of the trails are wide, long and with an adequately lined up trees. Some of the popular runs are the Ballroom, Walkabout, and Playground. Apart from these three popular runs, The Cruiser is a paradise for intermediate skiers who love to cruise and practice their turns. Although the only drawback is the apparent lack of a speed run for some thigh-burning skiing. Despite the lack of a speedy run, the marked blue slopes are an improvement on the Friday Flat, intermediate level skiers can easily cruise around without crashing into the beginners in the same area. Thredbo has about 17% of its slopes marked black, however, the evident lack of double blacks could be a letdown for expert skiers. Skiers and snowboarders with more experience and skill can try the adrenaline pumping vertical runs in Australia. These advanced vertical runs are called the Big 5 and big they truly are, the runs on average measures over 3 kilometers long and some of them can challenge the best of skiers. Advanced skiers will definitely love the massive 672 meters long drop; it is without a doubt the steepest and the longest drop that leads to some impressive off-piste terrain. These runs have the capacity to test the skill of experienced skiers and get their blood pumping. The black marked pistes include boxes, rails, and massive air jumps for advanced skiers to display their skills. Those who underestimate the skiing experience of Thredbo will undoubtedly be surprised to visit some of the best terrain parks in Australia. The terrain parks in Thredbo are some of the best in the country, and some skiers would agree that the quality of the terrain parks is as good as the ones in Europe. Meadows Moguls:Skiers can test their skills and expertise on the Meadows Moguls Course, the course is open to the public most of the season. The Playground:a ridercross course for beginners located in the Cruiser area. High Noon Ridecross: The High Noon ridercross is a suitable course for intermediate skiers, this ridercross is for skiers who have practiced their skills on the Playground, and they head to High Noon for more speed and thrill. The guided backcountry tours give a chance to everyone to enjoy the snow and wear skiing gear. Under the supervision and guidance of an expert, anyone can take the Signature Hill Tour that is marked green for its easy accessibility. Tours for intermediate levels (Bogong Creek) takes around 6 hours to complete and allows the participants to learn navigation skills, climbing skills and improve their overall backcountry and snow awareness. The black trail at Leatherbarrel Creek takes about 7 hours to complete, and this tour tests the skills of even the most experienced and best skiers. The tour has some of the best turns and speedy pistes to allow skiers to enjoy the fresh tracks. The Twin Valleys Tour is another major black marked tour that also takes roughly 7 hours to complete. Thredbo has an active nightlife and a spectacular après scene. The bars and pubs are cozy with a comforting ambiance, together with some delicious Australian and European cuisine thrown in make it one of the best resorts for an exciting après. Many bars and pubs have live music, and there is something for party lovers as well. 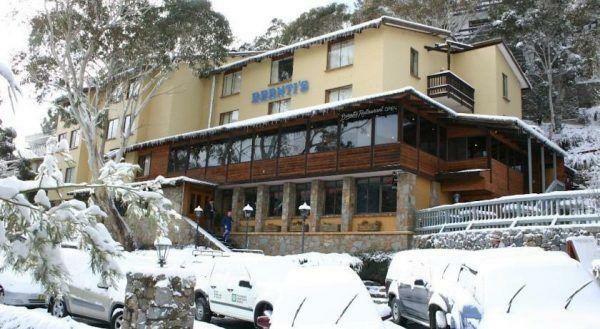 The Lounge bar is located within the Thredbo Alpine hotel. The bar has a wide range of cocktails and beers to suit every taste. The Lounge Bar is one of the best bars in Thredbo to get some post-ski relaxation time. Live music at The Lounge Bar is excellent, and the ambiance is quite relaxing. Enjoy some cocktails with a cozy fireplace and live music. If the skiing on the slopes of Thredbo hasn’t drained you of energy, then head to the Schuss bar for some of the best après ski experience. Schuss Bar has live music and a very party friendly atmosphere, the Groove Academy is the live band that knows how to get the party started. The Bar is popular for their theme nights held on every Sunday. It features the beats from DJ-P-Ranch, and the visitors receive a prize if they are well dressed. As the name suggests, the Après Bar is a bar that offers one of the best après ski experience that skiers would love. The bar is a favorite among skiers for après because it has held up to the name and its reputation as a top après location in Australia. The après has live music, delicious cocktails mixed with some eclectic spirits. The Mumm Poolside is a unique location for après; this location is the only bar that has its own pool reserved explicitly for après ski activities. The Bar has teamed up with the G.H. Mumm Champagne to bring the of European après ski to Australia. The heated pool, spa and, crackling fire pits with plenty of drinks and cocktails is a cherry on top. The most popular location for those who want to party hard throughout the night, the Heller Keller Bar by Fireball is the best for après ski. Being the only nightclub in Thredbo, the Keller bar is reputed for its parties and lively ambiance. The nightclub is open to the public in each ski season. The Friday Flat Bar and Bistro is one of the popular locations for skiers to get the best après ski relaxation with delicious food and drinks. When winter comes to Thredbo, it brings a new skiing season along with other winter activities for everyone. These winter activities are the best way to enjoy the time with groups, families or a partner. Here are some of the most popular non-skiing activities for everyone at Thredbo ski resort. Looking for some fun but doesn’t want to ski, then heading to the Thredbo Leisure Center is the best option. 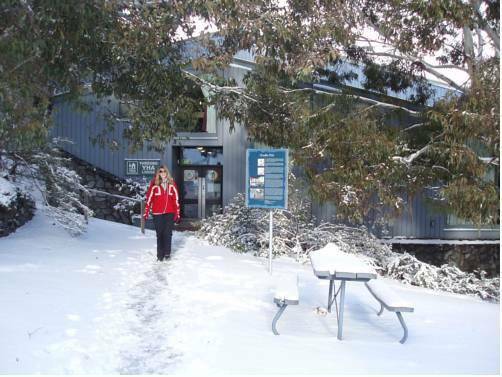 The Center is located at a 5-minute walk from the Thredbo Village Square. The Leisure Center has many activities including the Waterslide, Mission Inflatable, and the inflatable obstacle course. The Leisure centre offers other indoor sports and activities like bouldering wall, squash court, and weights gym. The Leisure Center offers fitness lessons from experts if anyone is willing to work out during their holiday. The Center is open from 7 am to 7 pm daily. Another major tourist attraction, at Thredbo ski resort, is the Acrobatic Center of Excellence (ACE). This particular centre was established by partnering with the NSW Institute of Sports to provide the next generation of freestyle skiers. The facility has sessions for children and adults. Expert instructors will train adults and children to ski, focusing on enhancing their snowboarding and skiing talents. If anyone is looking for a non-skiing adventure in Thredbo then taking a Snow Biking tour is the best chance to explore the exquisite resort. The best thing about this activity is that it’s free for winter guests. Take a bike and head to the different location on a mountain bike, for adrenaline pumping adventure. A popular Summertime activity at the Friday Flat is available in the upcoming 2018 skiing season. Disc golf is becoming a popular winter activity at Thredbo, and most tourists can enjoy disc golf including targets, tee-off sites, and signage that includes nine holes and 18 tee-off locations. Explore the Countryside with Snow Shoeing at Thredbo Taking a snowshoe tour across the countryside is an activity to be enjoyed by everyone. Put on the snowshoes and take a guided tour to explore the major landmarks and the beauty of Thredbo. Get close to the majestic Mt Kosciuszko by trekking to the top if you feel that you can take the challenge. The scenic chairlift rides are a perfect way to relax while enjoying the breathtaking beauty of Thredbo. The ride takes around 20 minutes on a one way, offering some of the best views of the Kosciuszko National Park. While taking the scenic chairlift ride, once you reach the top, why not enjoy a delicious meal at the Merritts Mountain House Restaurant. 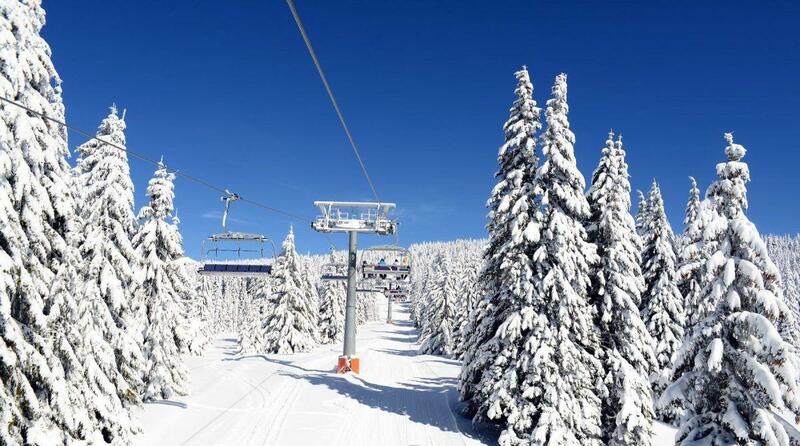 A single day pass for the scenic chairlift pass costs €23 for adults and €12 for children. Thredbo gives the skiers a chance to ski at night if they are not willing to stop skiing just because it;s dark. To increase the fun another notch, the Twilight skiing includes Kids Flare Run, a fun-filled and exciting activity for children. Just head to the Easy Does it chairlift and descent on the slopes with flashing LED flares. Once the children complete the descend safely, the sky lights up with fireworks, which is something that families should not miss. Please note that any adult is not allowed and expert instructors who ensure the safety of the children at all times accompany children. Adults must not feel left out as the same Flare Run is arranged for adults as well. Every Saturday night, the skiers and snowboarders head to the Supertail with flaming flares and ski their way from the top of the slope to the bottom; no perfect way to start a fun weekend in Thredbo with everyone in the family and friends.